Once the brilliant meteor, also known as Karl Lagerfeld, entered the Ruby Universe, there was no turning back. The collision ignited sparks of black and white tweed, pearls, mink and rabbit fur, a concoction of luxurious materials that signalled a new era in motorcycle fashion. It was bound to happen and now it can’t be stopped! 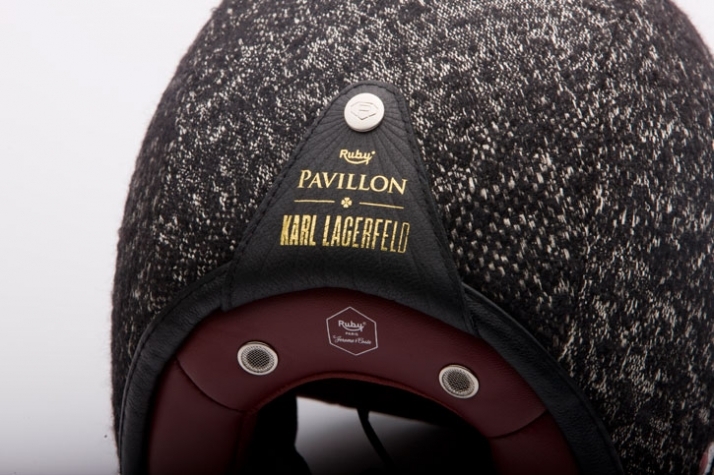 For the fourth instalment of signature limited edition helmets, Jérôme Coste, the Creative Director behind Les Ateliers Ruby, teamed up with the unstoppable force of fashion nature, Karl Lagerfeld, in order to inaugurate the creation of eccentrically chic and impeccably crafted collector’s headgear in editions of merely twelve. 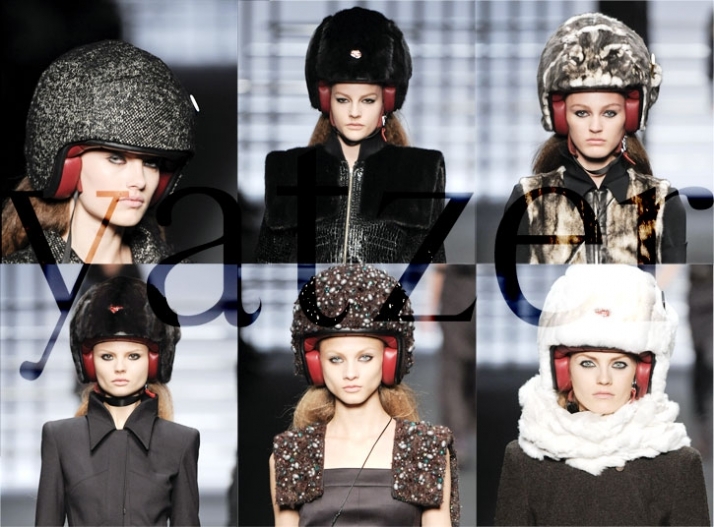 This new fashionable take on the classic Pavillon Helmet introduced us to an impressive number of four versions which premiered at the Karl Lagerfeld Autumn/Winter 2009/2010 collection. 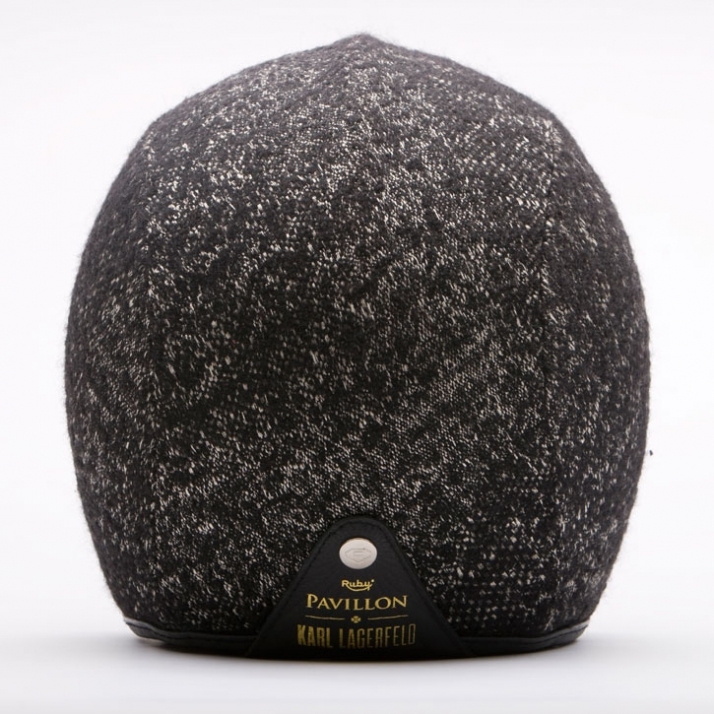 The first model, covered in black and white tweed (€1,200), has already been released and is literally flying off the shelves! It seems that everyone is determined to embrace their inner easy, yet amazingly stylish, rider and explore the urban landscape, though the limited availability (one hundred pieces) calls for immediate action. The remaining three versions, the absolutely exclusive ones (editions of twelve), kick the extravagantly luscious concept up a few notches, incorporating terracotta coloured fabric embroidered with pearls –yes, pearls!– (€3,820), black shiny mink (€4,545), and white rex rabbit fur (€2,730). And if you think that it can’t get more outrageous than this you are in for another surprise. Our beloved Karl, the impish maestro of haute couture, decided to add a personal touch, a dedicated external iPod pocket as a reminder of his love for the fantastic gadget (clearly an obsession—he reportedly owns several hundreds of them). Trying to justify that move is most definitely a lost cause, since the total concept of this line of helmets far exceeds the need for safety, so we’ll just sit back and enjoy his ability to amaze and stun us. The designer also managed to portray the Ruby Woman in a drawing that was turned into a 70x70 cm silk scarf, in a limited edition of five hundred pieces (€140). 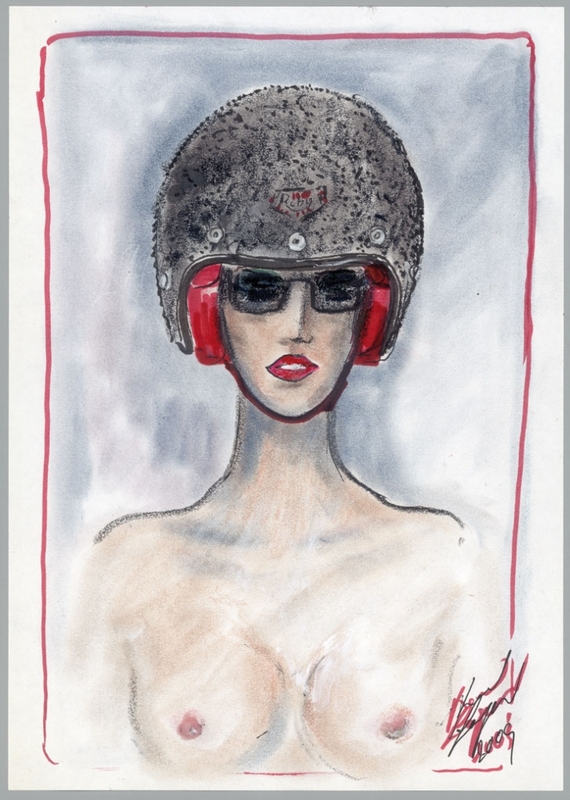 Les Ateliers Ruby and Karl Lagerfeld had a vision: to add pizzazz to the motorcycle world. 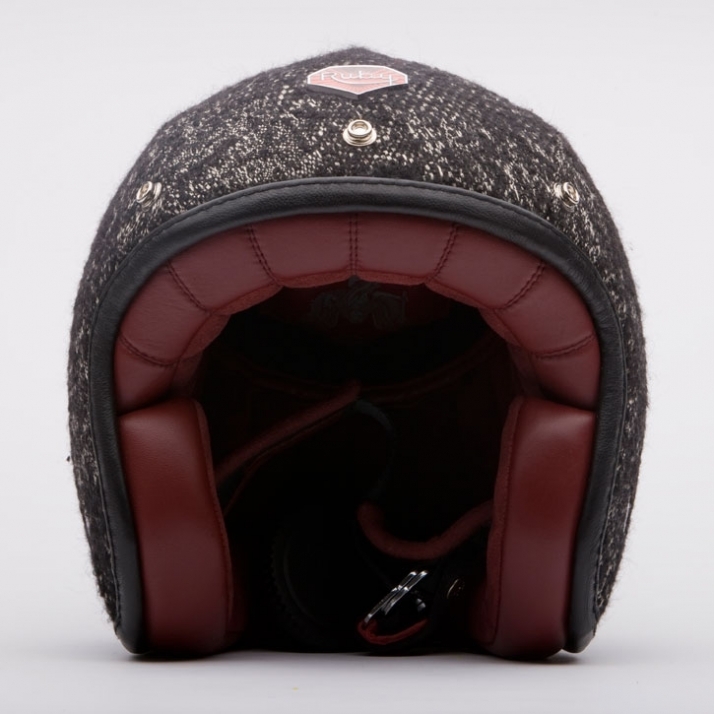 Because, in all honesty, you ride better when you ride in style!